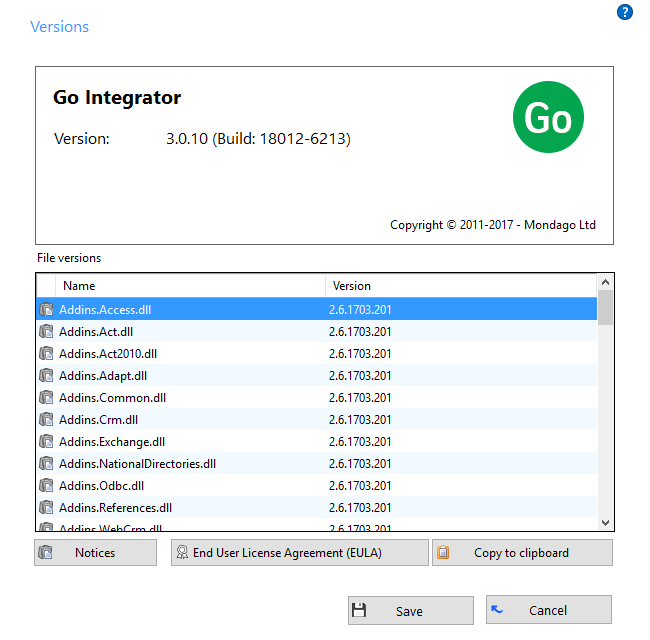 The Versions page lists the version used for each component part that makes up Go Integrator. Most software these days consists of several small programs and libraries that form a whole and Go Integrator is no different. This information can be used to track down any rogue element that perhaps hasn't updated correctly or to provide clues to a problem's cause. Should something like that happen you could click the Copy to clipboard button and then paste the info straight into a document or email.